The 2017 Subaru WRX is an exciting compact sports sedan that performs as well as cars costing many thousands more. It has tons of power, handles great, and its all-wheel drive provides amazing amounts of traction. More than just a high performing car, however, the WRX looks great from the outside, has plenty of great features inside, and is one of the safest vehicles on the market today. Drivers looking for a car they will love to drive should consider coming in to Briggs Subaru to test drive the 2017 Subaru WRX today. What makes the 2017 WRX such a great vehicle? It starts with the interior. While the Subaru WRX might not have all of the luxury trim of some of its more expensive rivals, its cabin is quite nice. Focused on giving drivers the feature of a sporty, high-performance vehicle, the WRX has an interior that is more substance than style. The driver's seat holds them securely without sacrificing comfort, and the gauge cluster is laid out smartly and elegantly. It features plenty of visibility in all directions, and for a compact car, it has a large amount of headroom. The interior's layout is simple and straightforward, with comfortable, roomy seating both in the front and back rows. 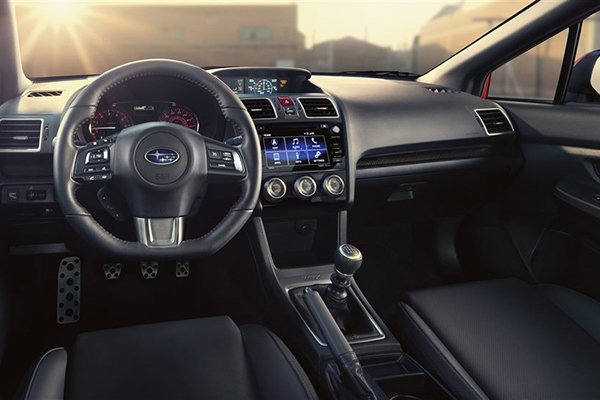 The WRX now comes with a standard 6.2-inch screen on its infotainment system, and leather seats, a sunroof, and more are included as part of higher trim packages. The best way for drivers to determine which interior features fit them best is to call a quality Topeka Subaru dealer and set up a WRX test drive in Topeka Kansas. The exterior of the 2017 WRX strikes a balance between aggressive and understated. Based on the Subaru Impreza sedan, the WRX's body has features like angled headlights, a wide hood scoop, and a large optional spoiler that all immediately convey that this is a high-performance vehicle. The body is still a sedan at heart, however, which works with the overall design to give the WRX the feel of a tuner car. Its look is more subtle than in years past, but it still has the bold lines and striking accents that set it apart from the crowd. Optional exterior features include not only the spoiler but also gorgeous 18-inch BBS wheels on the high-end STI model. The STI look great and is even faster than the base WRX; interested drivers should check with a quality Topeka Subaru dealer to see what Subaru WRX specials are available for them. Even better, call to test drive the 2017 Subaru WRX today. The strong and resilient powertrain of the 2017 WRX is one of its highlights. The standard engine is a turbocharged 2.0-liter powerplant that sounds great and puts out a sturdy 268 horsepower and 258 pound-feet of torque. This engine is matched to Subaru's great all-wheel drive system and a smooth-shifting manual transmission. This rockets the WRX from 0-to-60-mph is just 5.4 seconds, extremely quick for a vehicle in this price range. 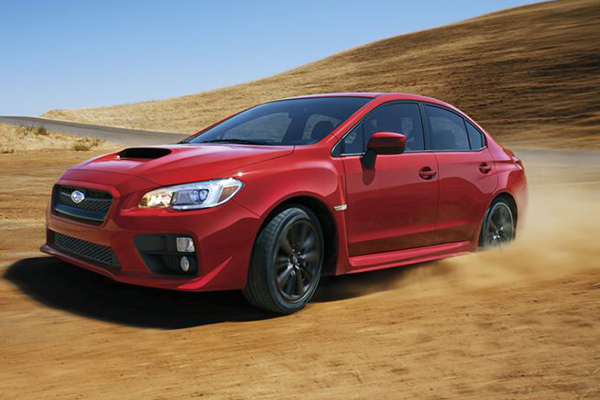 The top-end WRX STI switches out the 2.0-liter engine for a more powerful 2.5-liter. This increases the WRX's power to 305 horsepower and 290 pound-feet of torque and lowers the 0-60 mph to 4.7 seconds. A CVT transmission with paddle shifters is available as an option and shifts great. The WRX comes in four trim levels: in addition to the base and the high-end STI, a Premium and Limited trim package are available. The Premium package has 18-inch wheels and a sunroof, and the Limited adds leather-trimmed upholstery, keyless entry, and more. 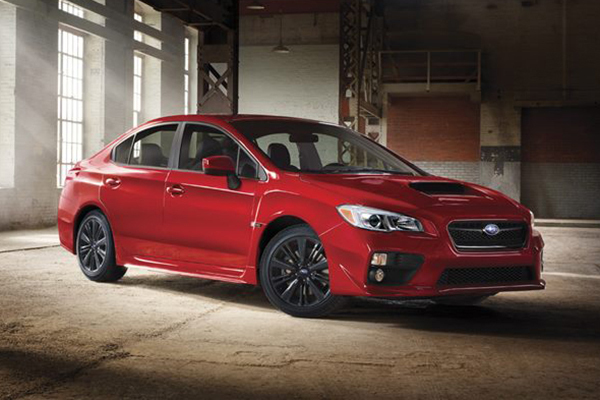 Check with your local Topeka dealer and see what Subaru WRX specials are available. The WRX received IIHS Top Safety Pick award, along with top ratings across the board. The WRX features a driver knee airbag to increase safety further, and a rearview camera increases visibility. Great tech features like blind spot monitoring, lane departure warnings and rear cross-traffic alerts are available as options to increase safety further. Every Subaru also comes with Subaru's great all-wheel drive system, maximizing traction even over loose or uneven ground. Finally, Subaru's EyeSight package is available on the Subaru WRX Limited. This adds automated pre-collision braking, intervention systems, and more to the Limited, making it the safest WRX yet. To learn more, call Briggs Subaru and schedule a personalized test drive in Topeka Kansas today. The 2017 Subaru WRX is a high-performing, great looking compact sports sedan that is a blast to drive. It accelerates and stops quickly, its handling is responsive, and its ride is comfortable and forgiving. More than a performance vehicle, the WRX also has tons of utility and is equally well suited to daily driving and long trips. The WRX is a vehicle that needs to be driven to truly be appreciated, so call Briggs Subaru or visit their website to schedule a test drive, and experience the WRX for yourself.